Margaret Sapir and Mitch Rapoport were determined to learn how to make the bread they tasted first at a restaurant in Stowe, Vermont. After more than 20 years in corporate life, they apprenticed to the baker, Gerard Rubaud, and adapted his recipe. WAVE HILL BREADS started selling their bread to farmers markets in 2005, they have made only one type, a three-grain French country loaf (“Pain de Campagne”). Their breads are crafted by hand using age-old French methods. They are made from artisan flour, organic spelt and organic rye berries that they mill for each batch, sea salt, water, and a pinch of yeast. The “pre-fermentation” is mixed and left to develop for six hours before it is incorporated into the dough.. The steaming jets in the oven help form the crispy golden brown crusts and significant “grignes”, the ridges on the tops of the loaves. The loaves are then left to cool on oak racks. The entire process lasts around 12 hours. After several years of making only type of bread, Wave Hill Breads is now making several including their Three-Grain Olive & Roasted Red Pepper Ciabatta and American Whole Grain Multi-Grain Boule made with 8 grains and 3 seeds, and Pumpernickel Rye. Since the arrival of Tim Topi, with 12 years’ experience in bakeries in Rome, Wave Hill Breads has been making Roman Focaccia and Panettone for the Christmas season. Tim and his team also create Natural Buttermilk White, Honey Whole Wheat, and Brioche Pan Loaves, and authentic Croissants and get rave reviews about their Blueberry Muffins and Jumbo Cookies. Wave Hill Breads moved to 30 High Street in Norwalk, CT in June 2011 and opened their Cafe serving pastries, soups, salads, and sandwiches there in January 2012. They also sell local brands such as SAVOR cookies, BOXED GOODES spices and grain mixes, and WINDING DRIVE jams. WAVE HILL BREADS are now available in over 40 fine restaurants and markets in Fairfield County and New York, as well as 18 farmers markets. Margaret, Mitch, and their small team of bakers and delivery people all gain great satisfaction from the enthusiastic response to their creation. Wave Hill Breads is now offering Bread Parties on Saturday afternoons. There will be some for people to sign up for as individuals but groups may also make special arrangements. For more information, email wavehillbreads@gmail.com. “Wave Hill Breads’ Pain de Campagne is the best bread on the East Coast,” according to Michael and Jane Stern, food writers and reviewers for Gourmet Magazine, www.roadfood.com, and NPR’s www.splendidtable.com. Come to the Litchfield Hills Farmers’ Market and taste for yourself! 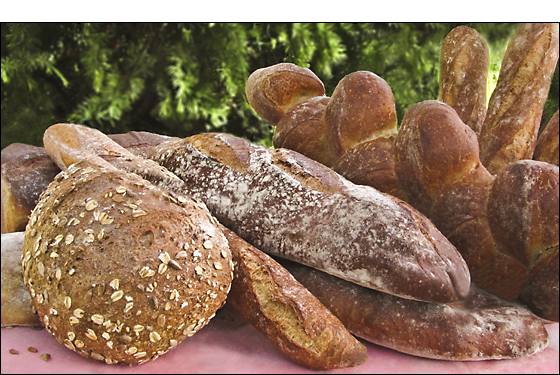 Wave Hill Breads Bakery is open with a full array of breads and pastries on Saturdays from 9 to 5. Loyal fans can come in the back door on other days and buy what’s available. Limited access on Mondays as there is no bread baked for delivery on Tuesdays. 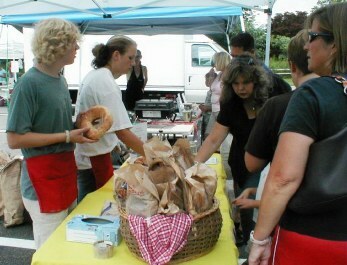 More information is available at www.wavehillbreads.com or by calling 203-762-9595.